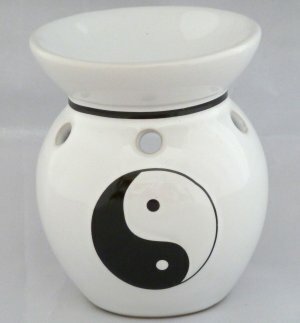 This white aroma oil burner depicts the Chinese yin and yang symbol. This oil burner stands just under 3" in height. It's bowl measures approx. 3" in diameter. Tea light candle is included.